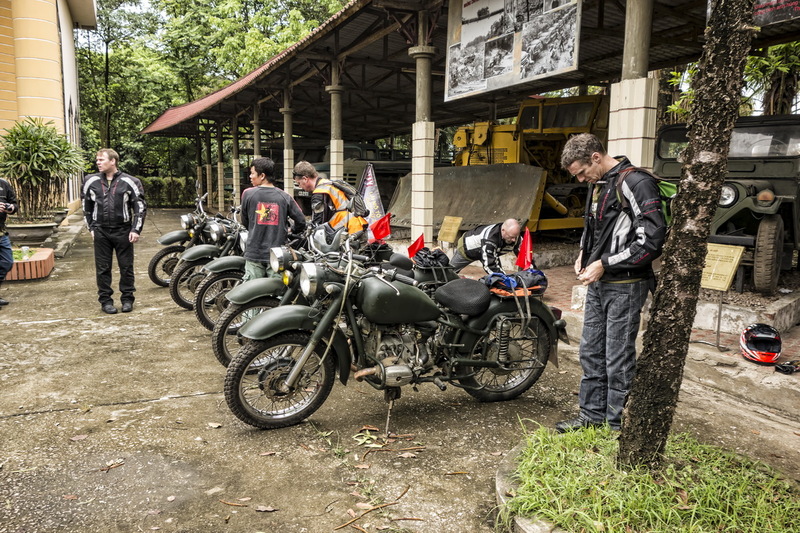 But there we were in the car park of the Ho Chi Minh Trail museum on the outskirts of Hanoi preparing to do just that! The “Band of Brothers” – as I mentally referred to my traveling companions – were still largely unknown to me. But I could sense that they seemed just as anxious as I was about our fate in the Vietnamese traffic. Which could loosely be described as somewhat chaotic… Think every direction all at the same time! To make matters worse, present in the car park was none other than one of my personal heroes Charlie Boorman. Who was filming one of his shows in Vietnam. So I settled for a photo with Charlie, told him I loved his work, put on a brave face together with my helmet and tried to ride out of the car park with a theatrical flourish! The next few hours had a kind of a dream-like quality as I started to come to terms with the Russian Ural and its idiosyncrasies together with the multiple challenges of riding one in Vietnam, but I do remember riding next to Charlie for a few minutes and being filmed by his crew, although I doubt that bit made the cut! 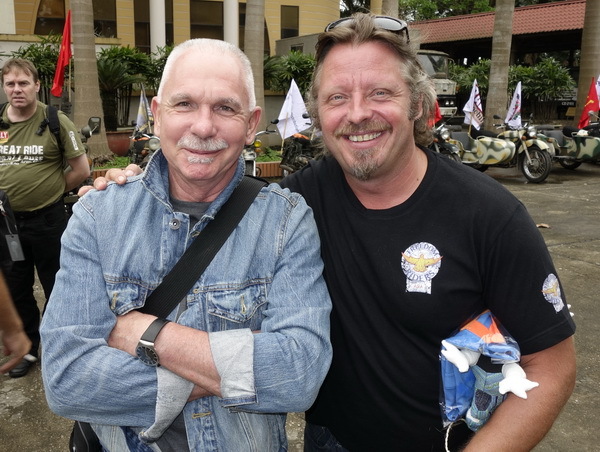 Lunch was at a roadside restaurant near Hoa Binh, after which we bade farewell to Charlie and then got our first taste of the tremendous countryside in North Vietnam as we crossed two mountain passes before descending in to the sensational mountain valley settlement of Mai Chau. 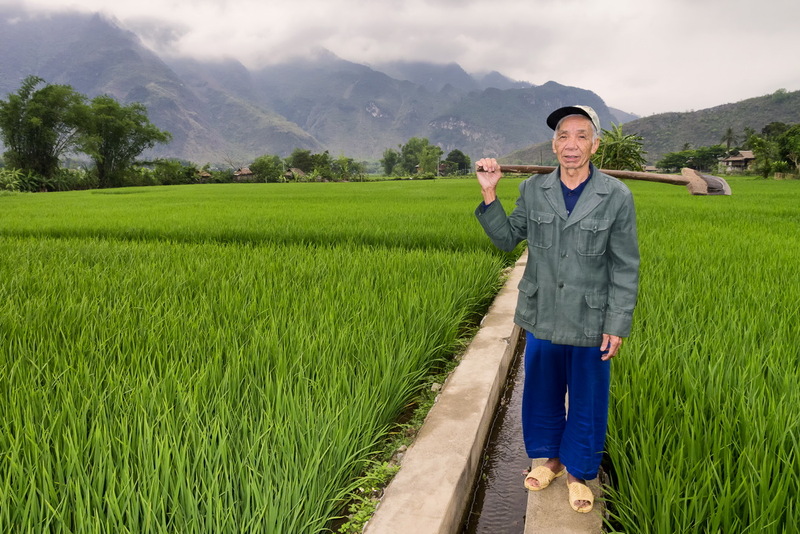 The people of Mai Chau are mostly White Thai and distantly related to tribes in Thailand, Laos and China and, although we were only there one night, they seemed very welcoming and to genuinely appreciate our business. Besides the ethnicity of the White Thai, there are two things that really stand out about this mountain valley. 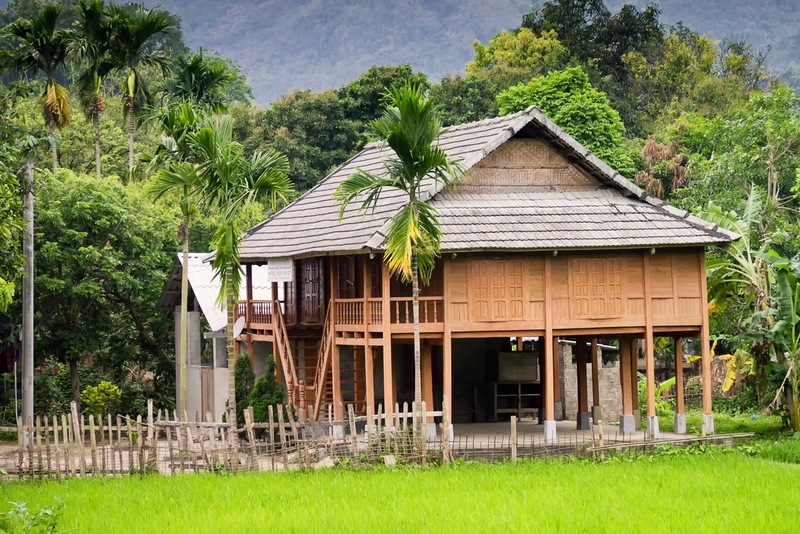 The sublime scenery and the stilt houses of Mai Chau we spent the night in. The underneath of the stilt house is the communal living and dining area. 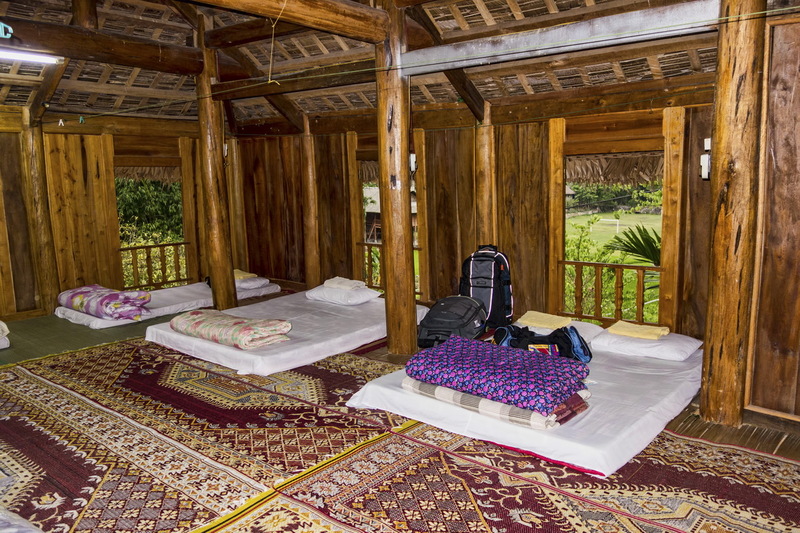 While upstairs is the shared dormitory with its mattresses, mosquito nets and thick quilts to keep the cool mountain air at bay. 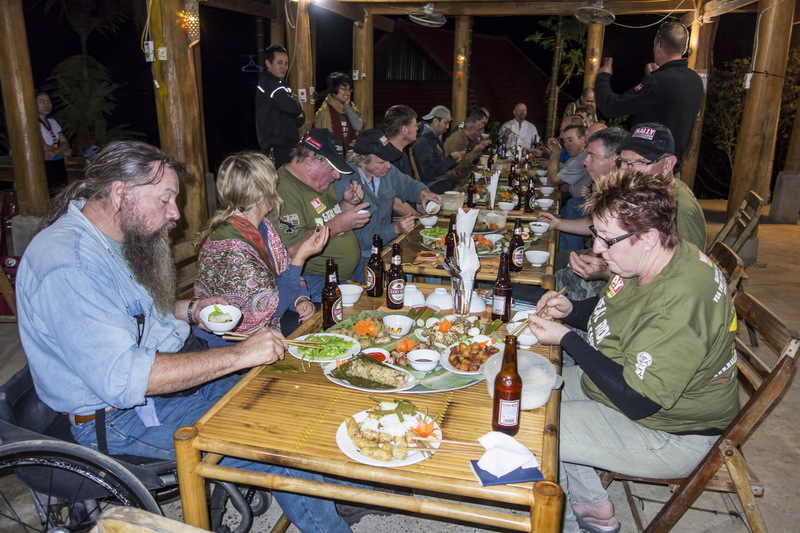 An excellent dinner of local food was prepared by the owners of the stilt house we stayed in. Served with ice-cold beers so all together a great first night on the road!